Animation is the art of bringing characters to life. If a picture speaks a thousand words, imagine what an animation feature tells you! Uncharted territories, new horizons, different life perspectives, and appreciating the little and big things in life, animated movies teach your kids these, and a lot more. 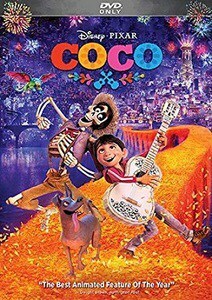 Coco takes viewers to the land of Mexico where Miguel, a young boy, dreams of becoming a musician. However, Miguel’s family has other plans for him as they want him to enter the shoe business. After a twist of fate and quirky spins, Miguel ends up in the land of the dead where he makes contact with De La Cruz, a vagabond musician, and returns to the world of the living to make his musical dreams into reality after receiving his wisdom. It’s an animated kids movie that talks about family life, culture, and traditions with a focus on following one’s passions. There’s a Spanish Dub available, and the runtime is 105 minutes which is pretty short when considering how captivating it is. A unique and original film. A stunning portrayal of music, mortality, and culture. Coco is a movie that that transcends time. We think it’s that good and even adults are watching it. Watch it with your kids and family on Friday nights, and you’ll thank us later. 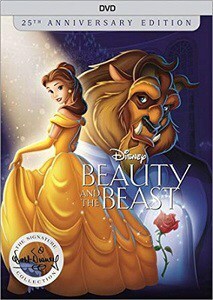 Released in 1991, Beauty And The Beast is one of the top animated movies for kids by Disney. Bella, a princess, has her father held captive by a beast who is actually a prince. The cinematic storytelling and Bella’s bravery are highlights of the film. This is a classic amongst Disney movies for kids. The film is dubbed in English, French, and Spanish and is a G-rated title for kids. There are special features included with the DVD, and the title is available in Bluray too. Won The Scientific And Technical Academy Award. For starters, watching Beauty and The Beast gives you great childhood memories. We like the fact there’s a live action version of this feature available, so if you want to watch it a second time, nothing’s stopping you. 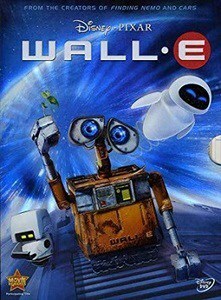 Wall-E stands for ‘Waste Allocation Land Lifter-Earth Class’ and is the story of a robot who is the last one on Earth. His job is to dispose of waste and has a boring life until he meets a female robot and gets to go on intergalactic adventures. The movie is thought-provoking and teaches kids the importance of living sustainably through storytelling. By the end of the film, you’ll have an appreciation for nature and have good memories of planetary escapades. Oh, and it’s one of the best kids cartoon movies in the Sci-Fi department. Won the 2009 Academy Award for Best Animated Feature Film. Crosses language barriers by not using voice for narration but visuals only. The story leans on the fictional side and isn’t too realistic. Wall-E is an enchanting story and is a Sci-Fi legend among kids. What we like about the film is it focuses on portraying emotions through body language instead of words. Mumble is an awesome penguin in Antarctica, but he has a troubling issue. While his friends impress their mates with their singing skills, Mumble shows his talent his own way – dancing. There’s a lot of catchy music, gorgeous animations, and the setting is incredibly beautiful. The film talks about following your own heart and embracing unique traits. It’s about social acceptance and showing how being different isn’t a bad thing. Penguins who dance and sing. Lots of musicals and brilliant storytelling. 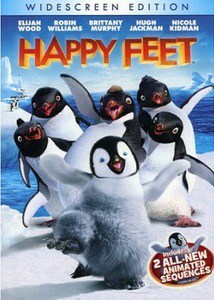 You will like Happy Feet because it’s a story about how Mumble’s feet make him happy by dancing. If you want a movie that’s free-spirited, intuitive, and down-to-earth, set in Antarctica, get this one hands-down! 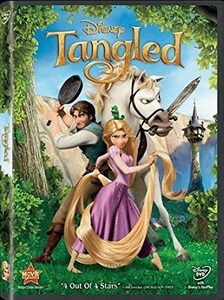 Tangled is a story about women empowerment simplified for kids. It’s a spin on the classic Rapunzel where a girl who lives in a tower yearns to leave her dull life behind. Right after she meets an outlaw named Flynn Rider, she discovers what she’s capable of as she unveils her true strength and becomes what she dreamed of doing. The 3D animation is spectacular, and you’ll be mesmerized with the story. The film is ideal for boys and girls alike and sends a message that we should all pursue the things we like and shouldn’t hesitate to try and turn them into realities. Magnificent 3D animation and storytelling. There’s a bit of romance and flirty moments in the film. We won’t deny that there’s some cartoon violence and flirty moments in the film but the pros outweigh the cons for this. If your goal is to get your kids to watch a movie that tells them to pursue their passions, get this. Kids anime movies are a fun way to expose kids to different ideas and ways of thinking. From exploring culture to meeting a diverse cast of characters, feature films for kids these days aren’t just dull or bland. The titles we’ve picked out for you are age-appropriate and ideal for watching with the entire family. Oh, and did we mention that your kids’ imagination and creativity will be sparked after watching these? Don’t just take our word for it! Try out these titles and let us know how family time with the kids went!